Using the most recent data from the National Highway Traffic Safety Administration, we’ve identified the states with the most deaths per capita due to impaired driving. All you have to do to get a safe ride home is fill out the form below. If you’re one of the first 100 applicants, you’ll receive an email on the morning of March 15th, with a $10 Lyft gift card to help you get a safe, sober ride home after your St. Patrick’s Day celebrations. Recent studies indicate that both DUI arrests and drunk-driving crashes decline when people use ride-share services like Lyft and Uber. Be part of the solution, and apply for a Safe Ride Home today. 1. The promoter of this giveaway is SafeWise.com whose principal office is located at 5202 Douglas Corrigan Way, Salt Lake City, Utah 84116. 2. Employees of SafeWise.com or their family members or anyone else connected in any way with the giveaway or helping to set up the giveaway shall not be permitted to enter the giveaway. 3. Persons must be at least 18 years old, or otherwise have reached the age of majority under the laws of the state where you reside, in order to participate. 4. Only residents of the United States are eligible to participate. VOID WHERE PROHIBITED. 5. There is NO ENTRY FEE AND NO PURCHASE NECESSARY TO ENTER THIS GIVEAWAY. Any purchase or consideration otherwise given by entrants will not improve one’s chances of receiving a gift card. 6. Route to entry for the giveaway and details of how to enter are available via entrant.SafeWise.com. Individuals may enter by clicking on the participation link on SafeWise.com’s website. Upon clicking the participation link, entrants will be asked to provide their name and contact information to SafeWise.com can provide the entrants with the gift card. 7. By submitting their name and contact information, entrants agree to receive marketing solicitations from SafeWise.com. 8. Closing date for entry will be upon reaching 100 eligible submissions. After this date no further entries to the giveaway will be permitted. 9. The first 100 entrants that satisfy these terms will receive a gift card code via email for a ride share service worth up to $10. If the entrant cannot be contacted or does not have a valid email, we reserve the right to withdraw the gift card from the recipient and pick a replacement recipient. 10. No cash alternative to the gift cards will be offered. The gift cards are not transferable. Gift cards are subject to availability and SafeWise.com reserves the right to substitute any gift card with another of equivalent value without giving notice. 11. The entrants agree to the use of their names and image in any publicity material. Any personal data relating to the entrants will be used solely in accordance with current federal and state data protection legislation and will not be disclosed to a third party without the entrant’s prior consent. 13. SafeWise.com’s decision in respect of all matters to do with the gift cards will be final and no correspondence will be entered into. 14. SafeWise.com accepts no responsibility for entries not received for whatever reason. 15. SafeWise.com reserves the right to cancel or amend the giveaway and these terms and conditions without notice in the event of a catastrophe, war, civil or military disturbance, act of God or any actual or anticipated breach of any applicable law or regulation or any other event outside SafeWise.com’s control. Any changes to the giveaway will be notified to entrants as soon as possible by SafeWise.com. 16. The entrant specifically acknowledges that the gift card shall be provided by SafeWise.com not the actual ride share provider, and that SafeWise.com is in no way affiliated with the ride share provider. 17. 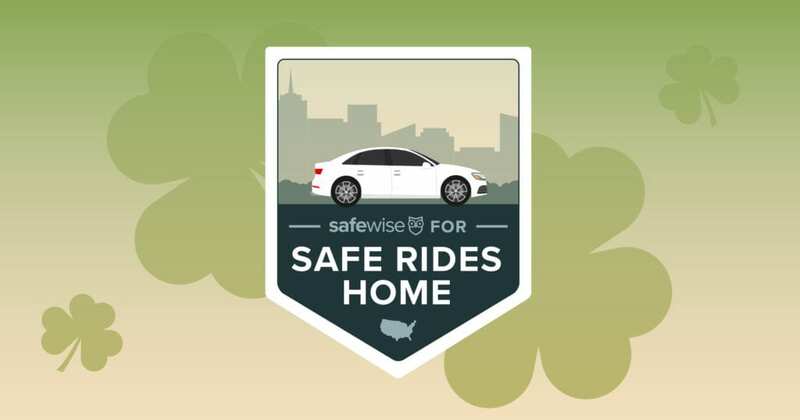 SafeWise.com accepts no liability for any damages or injuries to entrant as a result of entrant’s use of the ride share services. By submitting an entry for this giveaway, entrant releases and forever discharges SafeWise.com and its owners, affiliates, successors, officers, employees, representatives, partners, and agents, in their individual and corporate capacities (collectively, “SafeWise.com Parties”), from any claims, injuries, liabilities, obligations, promises, agreements, disputes, demands, damages, or causes of action of any kind, known or unknown, which entrant has or ever had or may in the future have against any SafeWise.com Parties arising out of or relating to the giveaway or the services provided by the ride share provider (the “Release”). The Release shall be binding upon entrant and its heirs, administrators, personal representatives, executors, successors, and assigns. If any provision of these terms and conditions is held to be invalid or unenforceable, it shall be construed to give the maximum enforceability under the law and, it shall not affect the validity or enforceability of any other provision herein. 18. SafeWise.com is not responsible for inaccurate gift card details supplied to any entrant by any third party connected with this giveaway. 19. The giveaway and these terms and conditions will be governed by Utah law and any disputes will be subject to the exclusive jurisdiction of the courts of Utah. 21. Entry into the giveaway will be deemed as acceptance of these terms and conditions.